We’ve long been stealers of hearts, now we’re going to steal each other’s stuff. 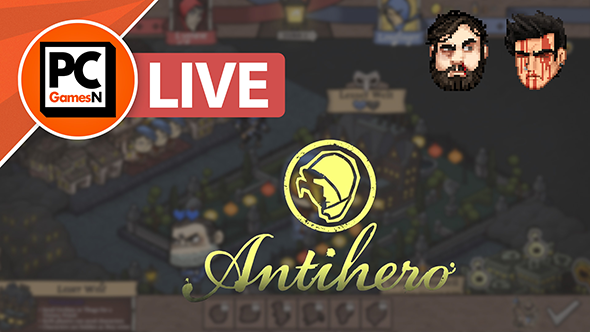 Antihero is a tactical thieving game about nabbing the most loot from a city. Keiran and Ben are bravely stepping up to the plate to see which has the most guile. For more upcoming PC games, we’ve got a whole list to check out. You can see it live on YouTube above, or on Facebook below. Do like, subscribe and let us know what you think via every possible avenue – we want to get better at this, and you need to let us know. Antihero is available for pre-order on Steam right now.